The Classical Ballet Program at the Ridgefield School of Dance instruction is based primarily on the Balanchine-style of technique. Classes are tailored for the students to naturally progress though each level appropriate to their age and ability. Combining the elements of both creative movement and ballet our pre-ballet classes introduce your child to the joys of dance. Through play and imagination, children improve on motor skills, musicality and learning to work in a group. These classes build the foundation of a child's love for dance through play and storytelling. The emphasis is on enhancing young dancers' innate joy in moving, and the confidence and self-esteem they gain from dancing. Designed as a first dance experience, children move as part of a group in a non-competitive atmosphere. Ballet I and ballet 2 dancers meet once a week, and learn basic positions and movements that serve as the foundation for their dance experience. They learn ballet technique, terminology and etiquette associated with classical ballet. Dancers are introduced to barre work, and movement patterns across the floor while learning choreography for Winter and Spring performances. 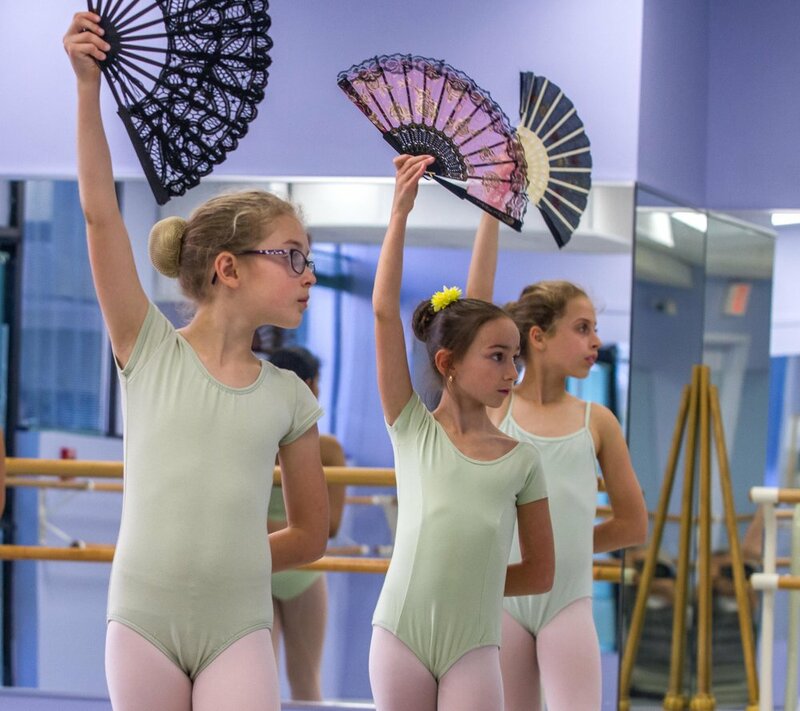 At around the age of 7, students begin taking technique classes twice a week to enhance their ballet training. Classes incorporate barre and center floor work. Working on technique is an important part of the curriculum as the dancers transition into a more intensive and structured level. To complement their training, dancers are encouraged to take classes in other disciplines including jazz and lyrical. Placements from Ballet 5 through Ballet 8/Company are by invitation of the artistic director and faculty, as are placements in pointe classes. Students are considered for pointe at the age of 10, but must demonstrate strong ankle and upper body strength before being admitted to the program. This is only with permission of the faculty. 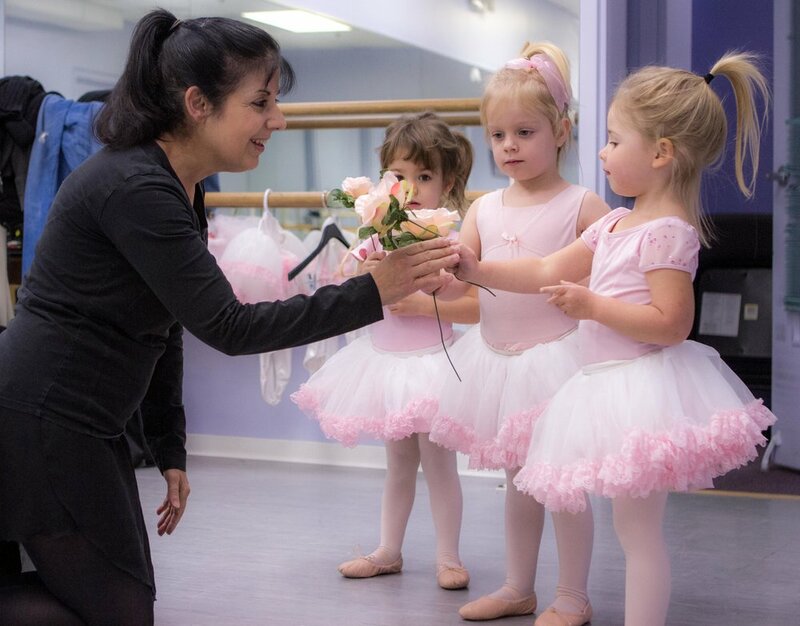 The intermediate and advanced level classes are more intensive and students take three to four classical ballet technique classes a week, plus pointe classes. Technique is the major focus of the school and, as it becomes more secondary in nature, dancers are able to emote, express, present, refine and become more confident in their movement. Dancers' confidence is rewarded with deepening pleasure as dance becomes an integral part of their lives. Our advanced dancers in the classical ballet program may audition for, or be invited to join, the school’s Company. Company members take technique class four days a week plus pointe as well as variations and repertory classes. An optional partnering class is also offered to our Company dancers. Advanced students are taught original Balanchine, Bolshoi and Royal Ballet variations, pas-de-deux and solos to give them a learned repertoire of their own. For the jazz dancer without ballet training and the teen who cannot, or does not, want to commit to more than one day a week, Ballet technique is a class that helps provide the training that can allow a student to move up into intermediate and advanced levels. All dance styles have ballet technique at their core and this class will help students with basics necessary for leaps, turns, body awareness and the language of dance. This class is also recommended for the recreational dancer wishing to take one class per week.